Sweet potatoes: Cut the sweet potatoes in half lengthways, then make shallow diagonal slices in the flesh one way, and shallow diagonal slices the other way to make a crisscross pattern. Place on a tin foil lined baking tray, drizzle with olive oil and season with salt and pepper and roast for 30-35 minutes until soft and golden. "Really tasty! 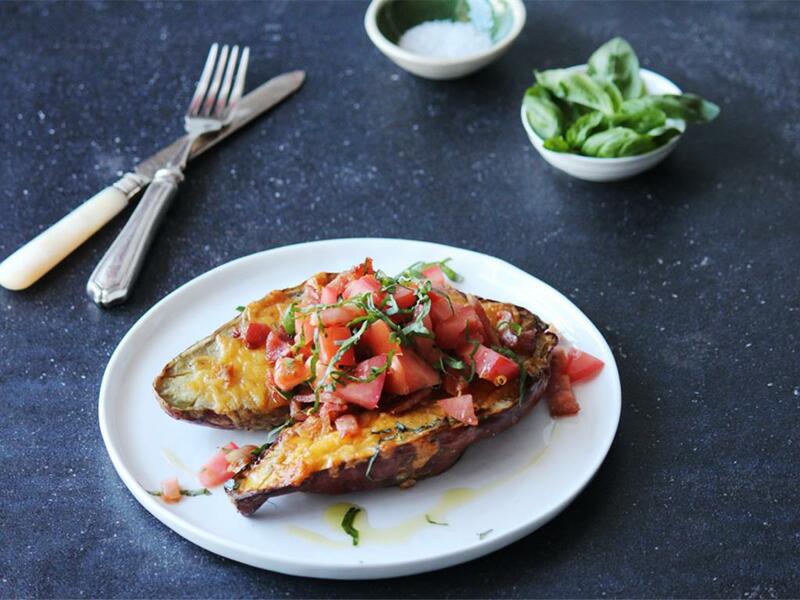 So much more than the usual jacket potatoes, this dish really lends itself to using different ingredients for variety. It really helps that the ingredients are of fantastic quality. Would definitely like to see this repeated."